Horticulture has seen more technological advancements in grow light systems in the past 15 years than it did in the whole of the 20th century. For nearly forty years the only choice for indoor growing light applications was fluorescent, then HPS, and the latest LED technology. But that wasn’t the only lighting technology scientists were further developing. They were also working on improving the gas charged lamp technology specifically because they felt a greater light spectrum could only be produced using this method. This led to the introduction of plasma lighting. Indoor Horticulturists now have their heads spinning in confusion over all the new grow light options available. We’re going to try to sift through this by giving you a decent grasp of plasma grow light technology. What is Plasma lightning? And how does it work? Conventional fluorescent, HPS, HID lighting uses a vacuumed tube with two electrodes on either end with a filament running amid. When electricity strikes the positive electrode, it almost instantly runs through the filament to the negative end. This causes the filament to heat which excites the molecules of the vacuumed gas which produces the light bulb glow. A light emitting diode works in very much the same way except on a much, much smaller scale. Plasma lighting doesn’t work like this at all. A plasma light doesn’t have any electrodes or filaments and uses electromagnetic energy to produce the light. Instead of the current running end to end through the filament, the energy flows from the center outward. The plasma light works using a Light Emitting Plasma (LEP) bulb that energizes a quartz bulb and that produces what is known as a solid-state light source. This creates a full spectrum while using very little energy because there aren’t any mechanical parts such as the electrodes or filament. A result of using electromagnetic energy instead of an electrical current to excite the molecules, plasma lights produce virtually no heat. A plasma grow light is the ideal for plant cultivation because it produces a more natural light that duplicates the full light spectrum of the sun. It does this because energy is transferred into the bulb through induction from an AC electromagnetic field. This burst of electrons quickly fills up the bulb chamber, and this creates the plasma state. UV radiation is emitted from the light when it is grounded, which is exactly what organic life requires from the sun. When that radiation hits the bulb, it creates the 3% of the actual light that can be seen with the naked eye while the rest goes into feeding plants the light nutrients they need to grow. This is exactly how the sun works. Because the very broad natural spectrum plasma lights produce, they offer an advantage over other kinds of grow lights. There is a limited spectrum using even the best of HID systems or LED grow lights and plasma makes up this difference. A plasma bulb lasts more than 30,000 hours. This is because these lights don't use filament or electrodes, which are not durable components of a light bulb that can withstand long and extreme heat. Even though Plasma can produce light intensity as strong as and even better than HIDs, they emit much less energy than the HID and other conventional bulbs. The same logic can apply here. When this light does not produce much heat, and energy, it will emit less heat, which requires less ventilation. This is a big advantage over HID bulbs as heat is a big barrier to lots of growers. Plasma LEP lights vs. LED. Arguably, LED is the hottest trend in the hydroponic industry right now. Thanks to improved technology they’re more efficient and affordable than ever before. LED has become the upgrade of choice for both the hobbyist and the professional. LEPs does have the upper hand in some areas, however. The first advantage that LEP plasma has over modern LED is that instead of 200 individual diodes involved with an LED you’re working with a single one-inch bulb. Another advantage is that while LED doesn’t have a huge footprint because they focus light down instead of outwards, plasma lights have greater square foot coverage. Because they already have a larger footprint LEP plasma work much better with a reflector. This has always been the main drawback with LED because moving the light outwards is extremely difficult when it points completely straight down. The strong advantage of LED is cost, weight, and ease of installation. LED are lightweight, compact units that are easy to install, plug in ready and extremely affordable. Energy use and heat wise, however, there is very little difference as they are very comparable. The obvious advantage plasma has over HPS is heat production. HPS by their very nature operate at extremely high temperatures, and there is just no way around that. This isn’t a problem with LEP plasma as there is no filament heating up because the light is completely produced through electromagnetism. This means there is no more worries about proper ventilation nor are any fans required to cool the growing area. LEP also consume about half the energy exactly because they are producing no heat and require no mechanical parts. 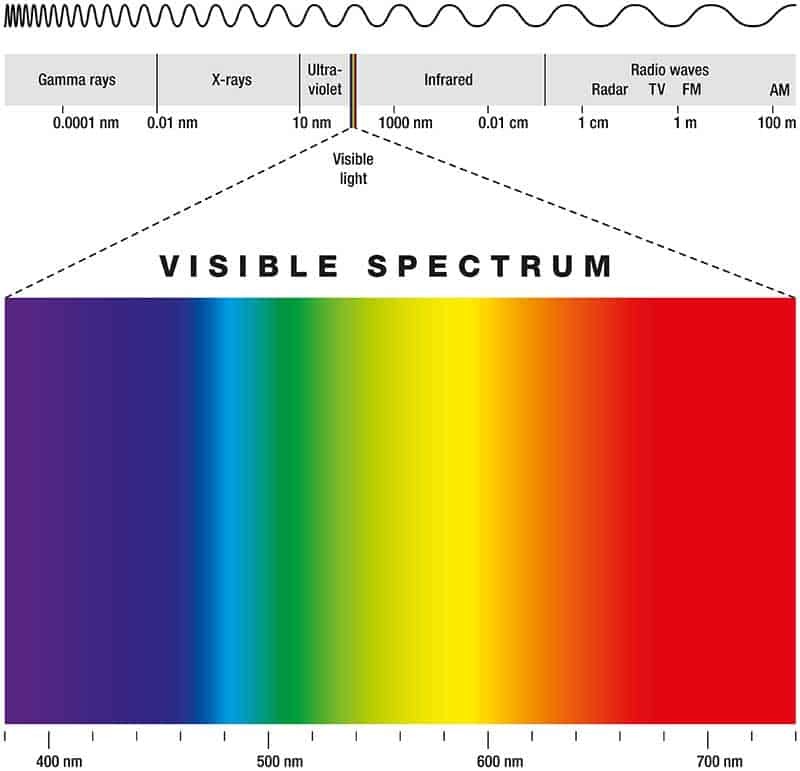 There is also the improvement in the light spectrum, UVA, and UVB production. While HPS does have a broad light spectrum, it is more limited and different than that of a plasma. In the area of footprint and square foot coverage, there is very little if any difference in coverage and both work great with a reflector. Although using fairly old technologies, these days, fluorescent grow lights are still very popular with the small or hobbyist hydroponic or casual cannabis grower. They are cheap, readily available and have a very broad footprint. Even in the age of LED, the fluorescent T-5 is still the preferred grow light for cultivating seedlings or cloning. They run cool enough to be extremely effective for use in grow tents and are the decent standard for getting plants off to a good start. Fluorescent, however, also require a ballast, still use a filament and produce, overall, a very narrow light spectrum. The LEP plasma doesn’t have these deficiencies and is also far more energy efficient. The other advantage of the plasma over fluorescent is the bulb life averaging 50, 000 hours. This is way above the 10,000 hours of even the best fluorescent. Where it stands now is that present plasma grow light technology is not exactly all that it claims to be. While yes, they do improve quality and yields a plasma can’t do this all on their own and need to be supplemented. The other huge downside is the high cost of plasma. There is no such thing as a low cost or discount LEP, and you’re going to pay dearly for a single unit. This seems inflated considering that the plasma can’t do the job all on their own. This fact leads to a whole new set of problems that comes with running multiple lighting systems. The idea of a decent grow light system is to simplify your job and not make it any harder. When you’re running two completely different types of lights, you’re going to have to be more careful about monitoring and providing adequate ventilation. The startup cost is also a factor in whether to replace the T-5 that has currently proven great for seed starting with an untested lamp. The T-5 on its own already does the job efficiently and cost-effectively so why would a person need to replace it? In this capacity, the value of plasma just isn’t there. It seems that the plasma grow light systems promise more than they really can currently deliver and it is premature to overrate or underestimate the true value. Plasma technology is evolving almost every day, and massive changes and improvements are bound to occur very rapidly. Why should a grower invest thousands in something that will only be outdated and cheaper tomorrow? The size of the plasma units is restrictive. Right now we’re dealing with the Betamax of plasma lighting which is still in its infancy. The technology is there but not quite perfected to the point required for widespread applications. The result of this is that while the bulb itself is extremely small, the entire unit required to power it is still the size of a house. This is all bound to change within a few short years. LEP plasma grow lights should be supplemented. Although plasma lights are touted as “full spectrum” capable of reproducing sunlight, and they have a completely balanced UVA/UVB production, at this point, LEP cannot supply 100% of the plant’s optimum light requirements. While LEP produces more than adequate red to orange spectrums, they are weaker when it comes to the blue or green color spectrum. This is exactly what HPS or LED produce quite easily. Therefore, today’s plasma grow lights need to be supplemented by Fluorescent, HPS or LED. The recommendations on supplemental use are below. These are the current specifications, but that is sure to change as plasma grow light technology advances further. It’s too early to tell the true worth of LEP plasma grow lights. In this internet age, a potential revolution in grow lights, or any technological advancement spreads like fire before the product is even fully functional. That is where we stand right now with LEP plasma grow lights. While there has been some testing and theories stating about plasma LEP technology, there has not been enough longtime application to know the grow light’s true value. The reality is while we believe plasma may be the future of grow lighting it is still too early to sound the trumpet. Developers do know for a fact that plasma will develop better plant growth and production throughout the lifecycle, but the bottom line is that the light still cannot do it all on its own. Until it can independently meet all of a plant’s light requirements in a more compact form, there is a risk involved in making that kind of investment. While it looks like plasma LEP may have the potential to revolutionize grow lighting technology, it isn’t quite there yet. Don’t hit the panic button by rushing out to replace your lighting system this afternoon. Give it a couple of years to see how plasma lights evolve and follow the field testing to see how it develops the potential. The jury is still out as to the actual performance capabilities of LEP plasma light technology.